Nancie Whitehouse founded Whitehouse Advisors to work in close partnership with companies — ranging from Fortune 50 to start-ups, private equity and asset management firms — to enhance their executive talent acquisition strategies. Through the services and training she provides, companies can improve the effectiveness and efficiencies of their recruitment process and more successfully compete for top senior talent. Before that, she served as Director Search Strategies at General Atlantic (formerly General Atlantic Partners), the leading global private equity firm focused exclusively on information technology, process outsourcing and communications investments. At General Atlantic, she established and built a human capital management function dedicated to the support of approximately 50 portfolio companies in the areas of recruiting and retention strategies, executive compensation, organizational development and global human capital-related activities. Prior to joining General Atlantic, she spent eighteen years in the executive search profession, most recently with a boutique search firm specializing in recruiting leaders in the software and services sector. She began her career at Korn/Ferry International, in a series of increasingly responsible positions in recruiting and research. 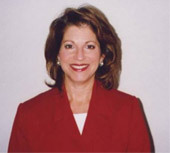 A frequent speaker on talent management and author of numerous articles on human capital issues, she Chairs the Board of Directors of the International Association for Corporate & Professional Recruiters (IACPR) and serves on the Advisory Boards of the Executive Search Information Exchange and the Executive Search Academy. She received her Bachelor of Science degree in Special Education from the University of Hartford.